Do you need a leather sewing machine? If you're in the same position I was in several years ago, with a handbag workshop taking off, and looking to use more luxurious materials, you really should consider it. Leather is simultaneously one of the easiest and the most difficult materials to work with when you sew. On the one hand, it's resistant, durable, and holds its shape like a champ. On the other hand, leather is expensive. Also, when you're sewing with it, you get one chance to get things right, because a hole is forever. It can be nerve-racking, but the right tools can make it less so. What's a Leather Sewing Machine? Is it made to handle thick materials? Do you need an industrial leather sewing machine? We consulted trusted crafting and review sites like She Likes to Sew, Quilter's Review, The Tool Report, and more, to find out which models professionals consider best for leather work. Then we took to the internet to see what actual buyers thought of their purchases. In this way, we endeavor to bring you helpful and unbiased recommendations. We had quite a few models to choose from when shopping. Which one will be the best for you? Well, you'll have to consider the models carefully and think about your needs. Do you want a machine that does high-quality heavy work, but nothing else? Or are you more interested in something that can handle heavy work along with other functions like decorative stitches and embroidery? Every sewing machine is a little bit different. Finding the best one for you will take research and thought. Not many home sewers are familiar with Sailrite because they don't produce general sewing machines for home use. Sailrite makes semi-industrial and industrial sewing machines designed explicitly for sailmaking, upholstery, and other heavy work. Their machines have a following and with good reason. First, their all-steel construction makes them more or less indestructible. Second, they have an enormous capacity for thick fabrics. The LSZ-1 can sew through ten layers of heavy canvas, do pushups, and come back for more. And if that's not enough, their personalized customer service is second to none. All this and a Sailrite machine will cost you about the same as a high quality dedicated quilting or embroidery machine. On the downside, this is a weighty piece of equipment -- around 35 pounds. Moreover, it's a bit of a one-trick pony. You get a straight stitch and a zigzag, and that's it. However, if you know you're going to be doing a lot of leather work, this is one to watch. Consumers love it. In fact, 88 percent of Amazon purchasers gave the LSZ-1 four or five stars out of five. And Quilter's Review calls this machine "the best sewing machine for leather and heavy materials." This Janome is a terrific all-around machine for several reasons. First, it's specifically designed to sew through multiple layers of thick material. Leather? Check. Canvas? You got it. Quilts? Oh, yes. The 1.0 amp (110 watts) motor will make sure of that. Mechanical means that you can adjust the stitch length, foot pressure, and thread tension to where you need it to be, rather than to what the machine thinks is appropriate. It also comes with an ultra-glide foot, to help your work slide through the machine. And if that's not enough, you get a few decorative stitches along with your straight stitch and zigzag. So if you decide leather work isn't your thing, you'll still have a very decent all-around sewing machine for your other work. The Tool Report loves this machine. It was also the top pick for heavy duty sewing machines over at She Likes to Sew. It's a consumer favorite as well, with 72 percent of Amazon purchasers giving it five stars out of five. Now, check out that price. Janome doesn't make blue-light special machines. Their machines are known for being expensive but worth it. But the fact that you can get your hands on this model for cheaper than some sewing machines -- that's pretty amazing. Could this be your new leather sewing machine? If so, you can find it at Amazon. 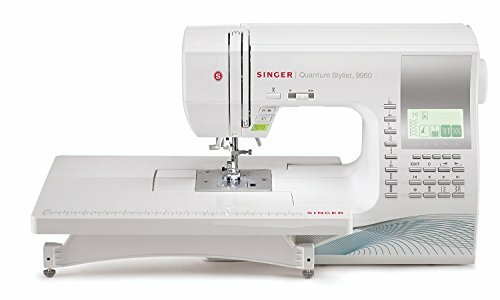 This Singer is another excellent multi-purpose sewing machine that has garnered accolades from professional reviewers and consumers alike. Seventy-two percent of more than 2,200 Amazon verified purchasers, for example, gave this model five out of five stars. She Likes to Sew considers it among their top picks for use as a leather sewing machine. The Tool Report considers the 9960 a great machine, both as far as inexpensive machines go, as well as for beginners. They do caution, however, that it's probably not the best machine for thick leather. The motor, after all, is only 55 watts. In our opinion, this would be a terrific sewing machine for someone who is experimenting with light leather, or perhaps starting out in leatherwork. It may not be the best for heavy-duty work. However, with 600 pre-programmed stitches, five alphanumeric fonts, and the accessories pack of your dreams, this is a lot more than just a leather sewing machine. If you do quilting, embroidery or garment making, as well as leather, you'll definitely get your money's worth. And speaking of money? You can find it cheap on Amazon. 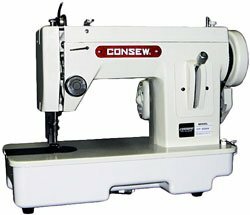 The Consew is another industrial sewing machine, and it's a powerhouse. Specially made for leather, canvas, and upholstery, this machine has a generous 9/16" foot lift, and a maximum stitch length of 10mm -- that's twice the max stitch length of a lot of sewing machines, even those built to handle leather. This model also comes with a table and a servo motor. She Likes to Sew considers it one of the best machines for sewing leather. Sewing Insight, in particular, praises this machine's stitching quality and precision. Besides, no Amazon purchaser gave this model below three stars out of five. The price is a bit steep -- around $1,095 -- but it's pretty much in line with what you'd expect to pay for an industrial straight-stitch machine. You can find this unit for sale at Amazon. The Brother ST371HD is another multipurpose machine that is made explicitly with substantial work in mind. Sewing From Home liked this model a lot. Notably, they give it high marks as a heavy-duty machine, as well as for being good value for money. 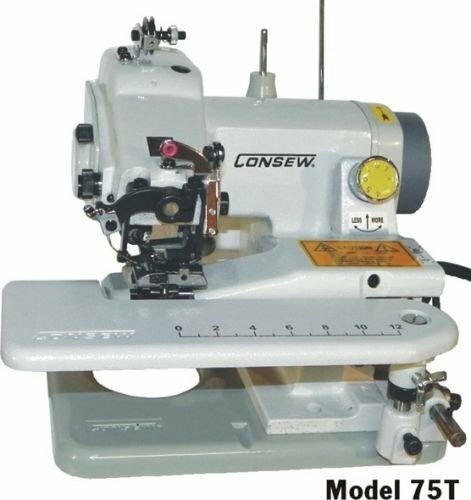 Some of the features that make this one a good choice for a leather sewing machine include a non-stick foot and a spring action zigzag foot, which helps the machine to glide over multiple layers and thick seams. Amazon reviewers loved this model as well, with a majority of purchasers giving it five stars out of five. ​And did we mention the 25-year limited warranty? If you're thinking about getting into leather work, this could be one to keep your eye on if you are in the market. This Singer 4432 isn't an industrial quality leather sewing machine. However, it is specially made for heavy duty work, including leather. There's plenty of power here, with its 105w motor. 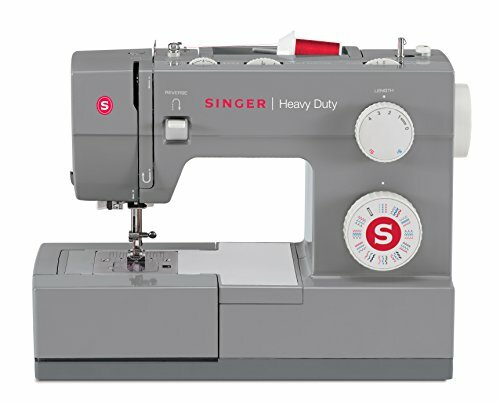 Unlike a lot of models at this price point, this one has a metal frame, which gives it a sturdiness that similarly priced sewing machines may lack. It is a manual machine, which means that you're in control of the tension and bobbin. There is also a selection of decorative and buttonhole stitches. 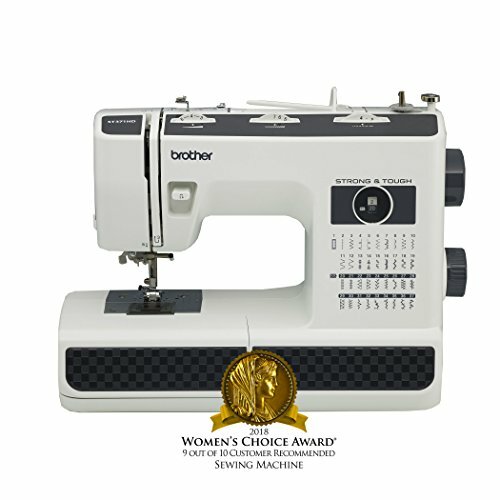 This model and its predecessor the 4411 have made some "best of" lists, including the best sewing machines for beginners and the best heavy duty household machines. Sewing Machine Expert considers this one of the best heavy duty sewing machines for upholstery, which will give you an idea of how well it will work as a leather sewing machine. Seventy-two percent of Amazon purchasers gave this model five out of five stars. Common customer issues included bobbin jamming and lack of control over stitching speed. For the price, though, this isn't a bad machine to buy. For this price, you could give it a try, and if it didn't work out, the machine would make a terrific backup sewing machine or even a gift for your favorite beginner sewer. 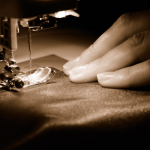 When you're looking for a sewing machine that can handle leather work, there are a few key factors to watch for when looking for a machine. When you're working with heavy materials like leather, power is key. A wimpy motor may overheat, seize up or even die when confronted by continuous heavy work. An industrial leather sewing machine will come with an external servo motor that is made for just this situation. But many household sewing machines are also powerful enough to do the job. Sewing Machine Expert recommends looking for a motor with 60 watts of power or more. 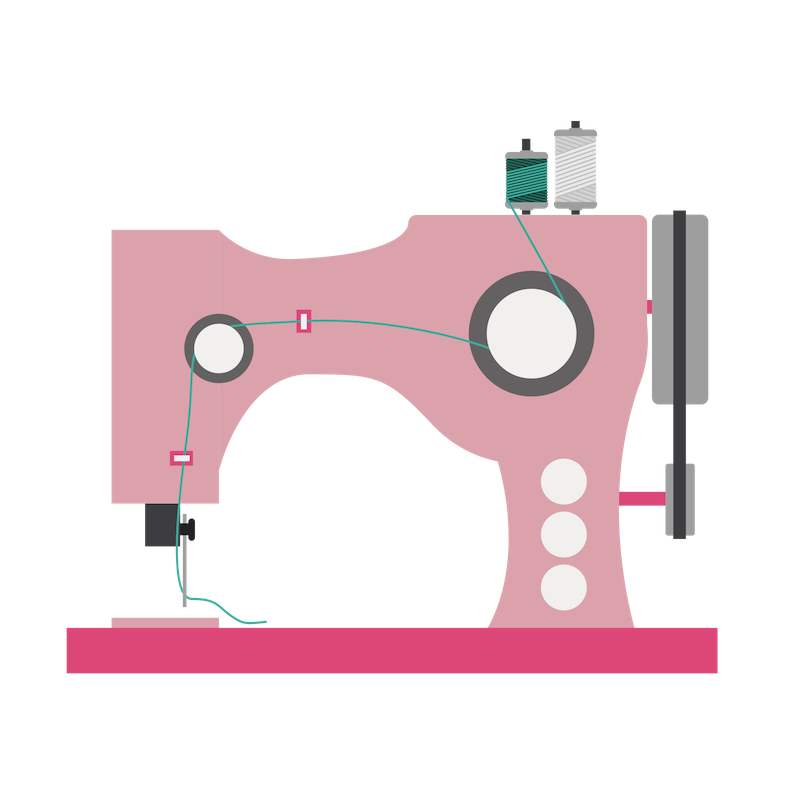 Some sewing machines are specially made to handle thick, heavy materials, as well as multiple layers of fabric. These sorts of machines can power through the work without breaking your needles or causing damage to your project. When you're working with leather, it's important that your machine has the option to create longer stitches. Longer stitches will make a stronger seam that can hold your leather together better. 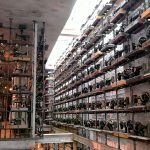 For this reason, many prefer a mechanical machine, with manual controls, to a computerized one. You may want to consider a machine with manual thread tension adjustment. A machine with automatic thread tension may try to adjust the thread too tightly to compensate for the thick, rigid material. And this can cause breakage of both needles and thread. Leather can stick to the bottom of your presser foot. Some machines come with unique non-stick feet. A metal needle plate can also help your work to glide through the machine. Some machines also come with a particular zigzag foot designed to help ease the action through the machine. That depends. According to She Likes to Sew, many good, heavy-duty home sewing machines can handle leather to a thickness of 3/16 inches. If you're working with thicker leather, though, and doing a lot of it, an industrial machine might be worth a look. Industrial sewing machines will give you more power, a longer stitch length, and more stitches per minute. Also, they often have steel, instead of plastic construction. On the downside, they are expensive and heavy. 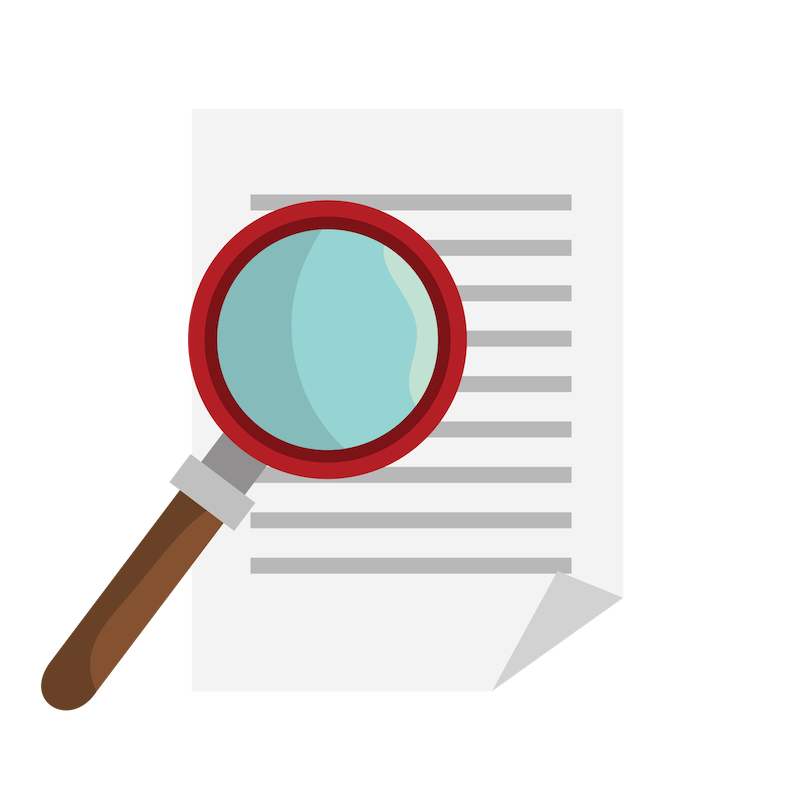 If you're building your business, it might be worth your consideration. If you're starting out with leather, though, it might be wiser to watch and wait. There's quite a price range, here, and what you'll pay depends on your needs. You can find some excellent multipurpose sewing machines suitable for leather work starting at between $300 and $400. If you're looking for an industrial or semi-industrial straight-stitch machine, you could pay between two and ten times that much. Consider your needs carefully. Are you starting a business? Do you have a company that you want to take to the next level? In that case, an industrial machine might be the thing to help you move forward. On the other hand, if you're starting out in leather work, a multipurpose machine might be a better choice. That way, if you decide leather isn't your medium, you won't be stuck with an expensive machine that you won't use very often. For our money, we like the Janome HD3000. It's a sturdy, powerful, versatile machine that can deliver when it comes to heavy work. Moreover, it's an excellent all-around sewing machine that can handle your quilting, garment making, and other crafts with ease. 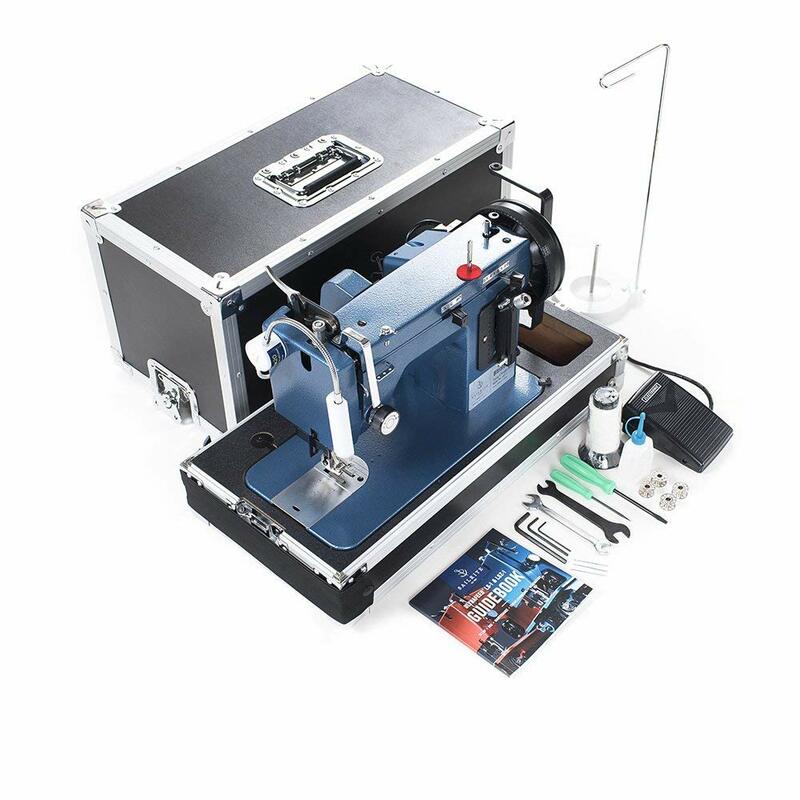 If you're already working with leather, and looking to kick your business up a notch, you might do better to consider an industrial leather sewing machine. The Consew and the Sailrite are both excellent machines. 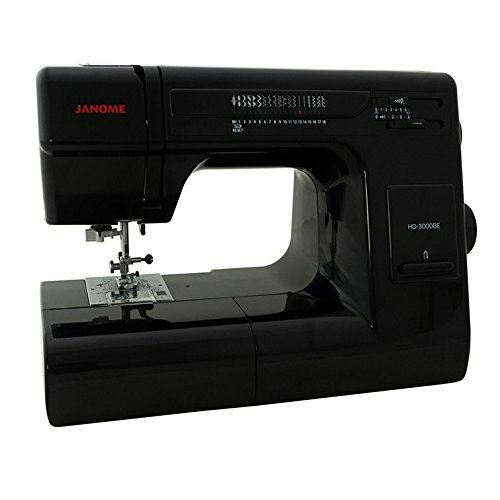 But if you're not ready to commit to an industrial sewing machine, you can't go far wrong with a Janome. Next article2018’s Best Embroidery Machine: Which Will Be Our Next Top Model?